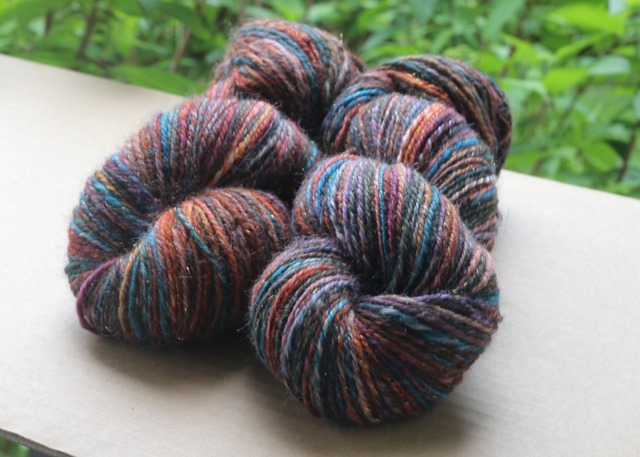 I have written a previous blog post on this yarn so I won’t go into a whole lot of detail about it. I also talked about it on the podcast. 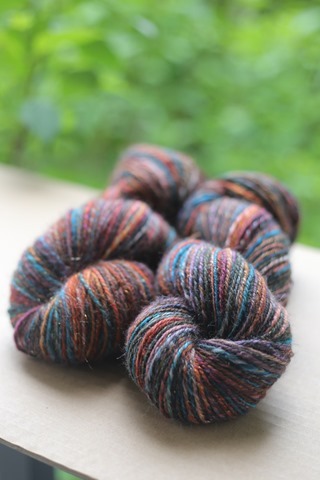 I have also Instagrammed this yarn a whole bunch. In a nutshell? I’m kind of in love with it. 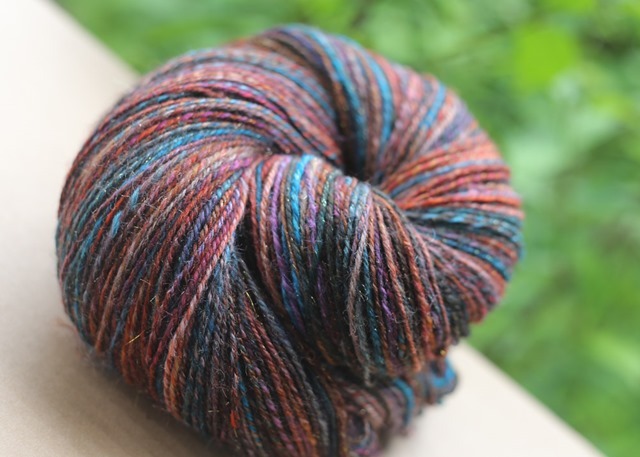 I’d really like to spin another alpaca blend as soon as possible. Or make one myself on my blending board and try some woollen spinning with some fibre in my stash. The preparations we use with wool all apply to Alpaca, which is nice because there are no special preparations for this fibre. This yarn ended up being quite dense but it has a lovely handle – I’m looking forward to working with it. 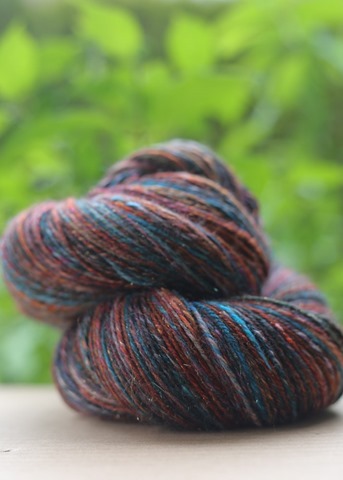 I already have a project picked out for this yarn. I stumbled across this shawl pattern when I was looking for another garter shawl that inspired me to add beads. For that project, I eventually settled on the Multnomah Shawl which some of you have probably seen me working on on IG or heard me talk about in April’s podcast (linked above). 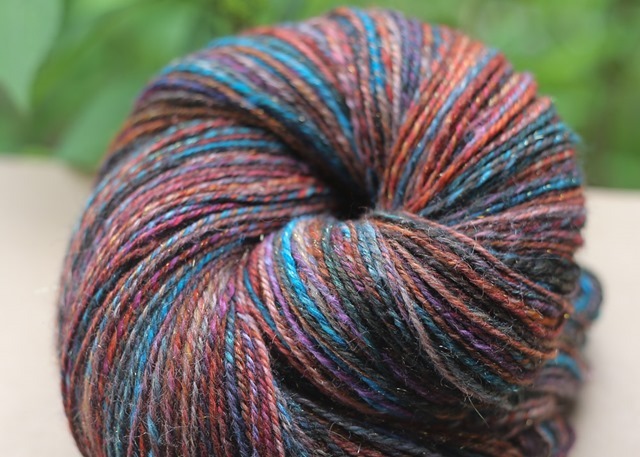 What fibre blends are your favourite? 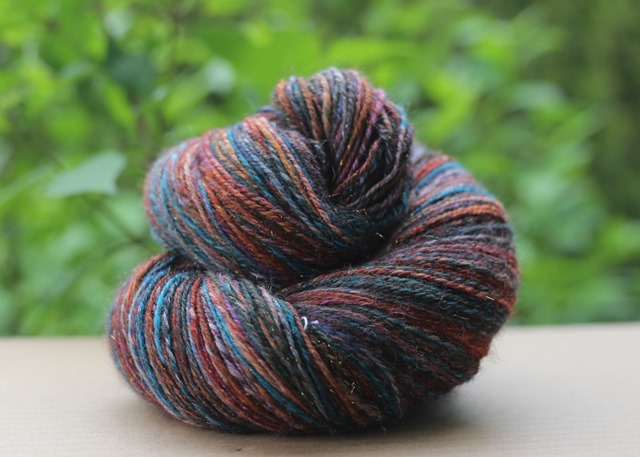 or do you prefer breed-specific spinning? I think it partially depends on what your end project is going to be but What do you like best? 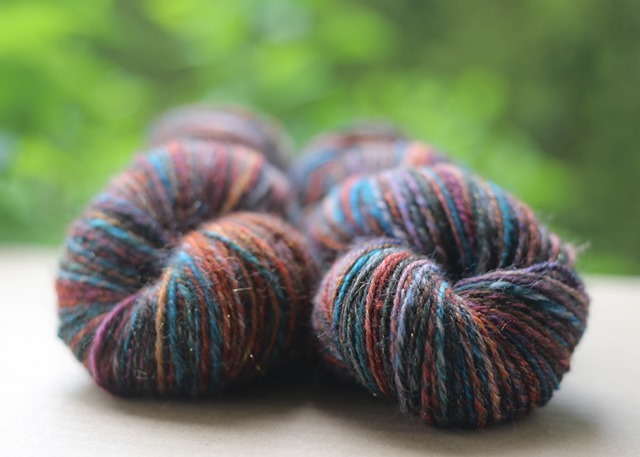 I’d love to hear what your favourite spinning projects are regardless of the knitted, crocheted or woven project at the end. 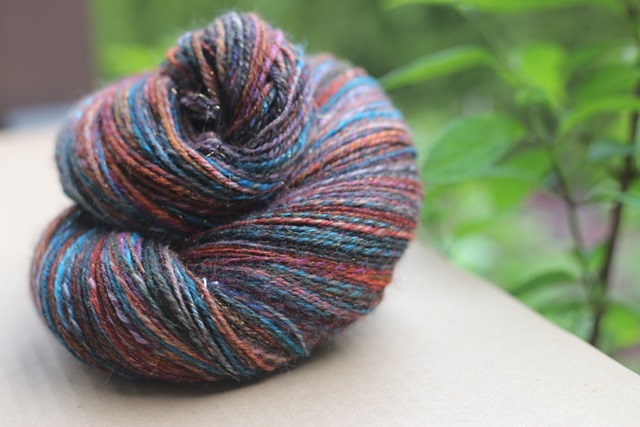 Previous Post what do I want the handspun to look like?